-- Select a Size/Color -- Small 11-14" x 3/4" - Out of Stock! Medium 14-20" x 1" - Out of Stock! Large 20-26" x 1" - Out of Stock! 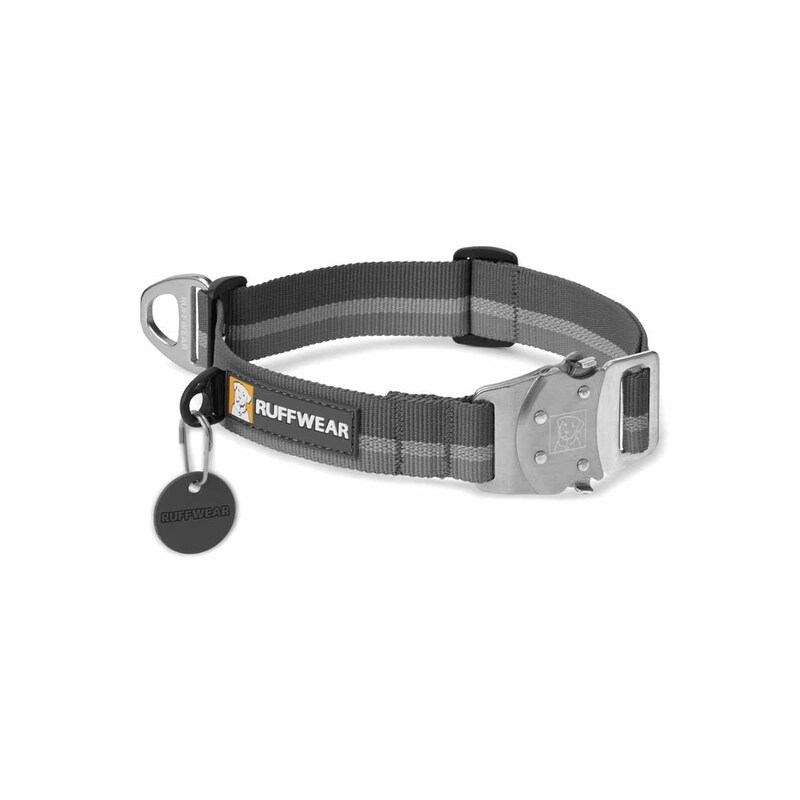 Be prepared for the great outdoors with the Top Rope Dog Collar by RuffWear in Twilight Gray. The safety and outdoor technicalities of this dog collar will have every backpacking dog barking for joy. The Top Rope Dog Collar by RuffWear features a separate ID attachment point and tag silencer to reduce tag jingle. Full-metal hardware ensures extra security and the reflective stripe provides visibility in low-light situations. The RuffWear-designed, anodized aluminum V-ring makes for a strong, easy clip-in. The exclusive, all-metal Talon Buckle provides ballast while ensuring a strong connection. Matches the Slackline Dog Leash by RuffWear sold separately. Appreciate the quality products and variety. Have recommended to my vet and other pet sitting clients.